Looking For The Funniest Cartoons? Now you can have all the best Funny Comics all in one place! - 100+ of the Funniest Cartoons! - Continuously Updated! 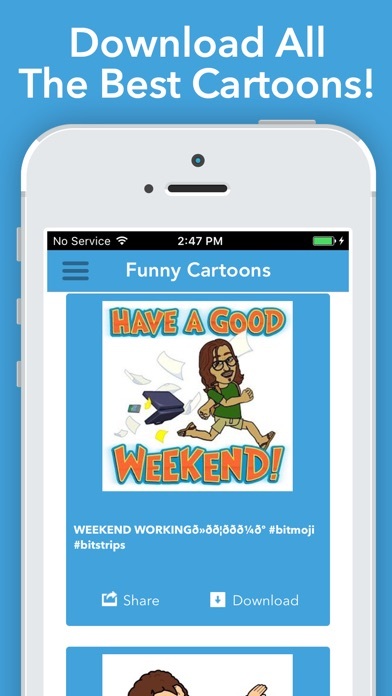 - Share and Download Cartoons with Your Friends! 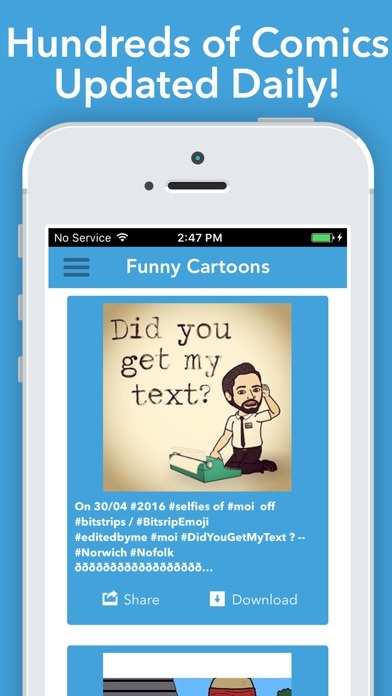 Download Now and Start Laughing at The Funniest Cartoons! This is NOT for creating bit strips, it's only to SEE, others! Do not purchase, it will piss you off! Don't waste your money! It's a terrible app.....very disappointed!!!! 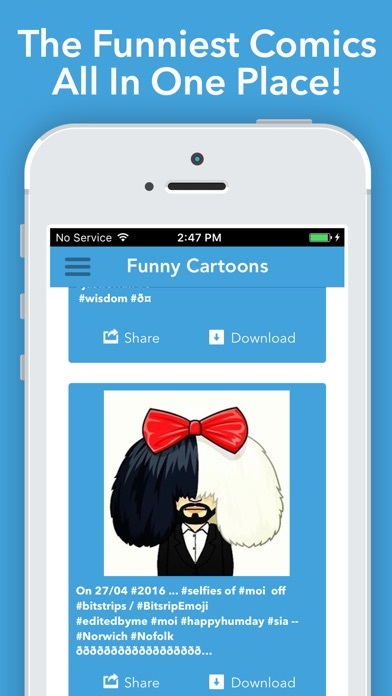 The point of Bitstrip is to personalize with your avatar & your friends. This app doesn't offer customize features. Very, very disappointed! !